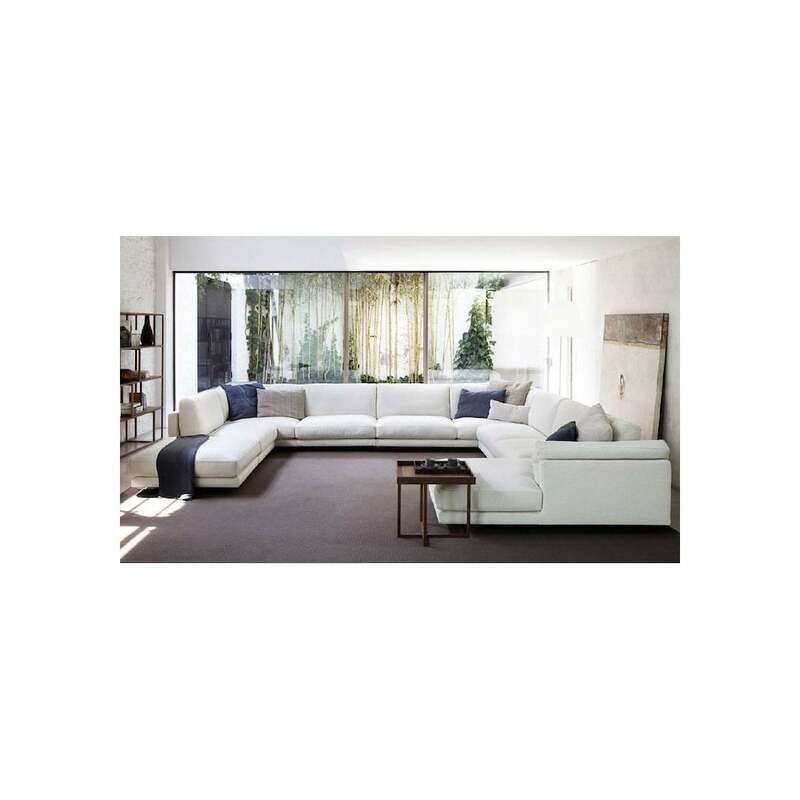 Designed by Francesco Lucchese, this Host configuration comprises of 2 x armless sofas, 1 x armless module, 1 x chaiselongue, 1 x pouf, 2 x corner units and 1 x Match side table. The Host is cleverly designed with a tough outer frame that contrasts and contains with soft cushions to produce harmony. The back rests contain a system of straps which creates flex of up to 5 cm for moments of pure relaxation. Please contact us for bespoke configurations or other fabric and leather ranges.